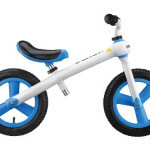 We are excited that the best selling Kinderbike Laufrad will be back in stock by the middle of October 2014 and has a few new notable improvements. 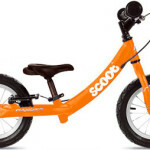 The Mini, in addition to having the lowest saddle height available, has also been the top-rated small trainer for several years. But that didn’t stop them from finding a way to make it even better: The 2015 Mini boasts an aluminum handlebar, seat post and brake lever. 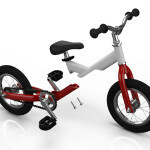 All 2015 KinderBikes also come with (2) seat posts for an expanded range of seat heights. They also increased the front fork rake for enhanced stability at slower speeds. 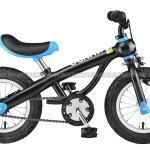 Plus, all of the top-of-the-line features you’ve come to expect from KinderBike – 6061 aluminum alloy frame and components, angle and height adjustable saddle with twin rail support, child-friendly rear brake and more. We think you’ll agree there is absolutely no other comparable trainer on the market. 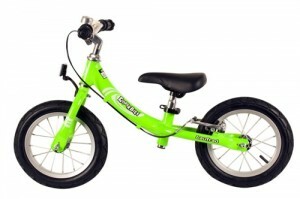 The KinderBike is constantly on our list of the top 3 balance bikes available. 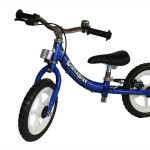 Shop for a KinderBike Now.